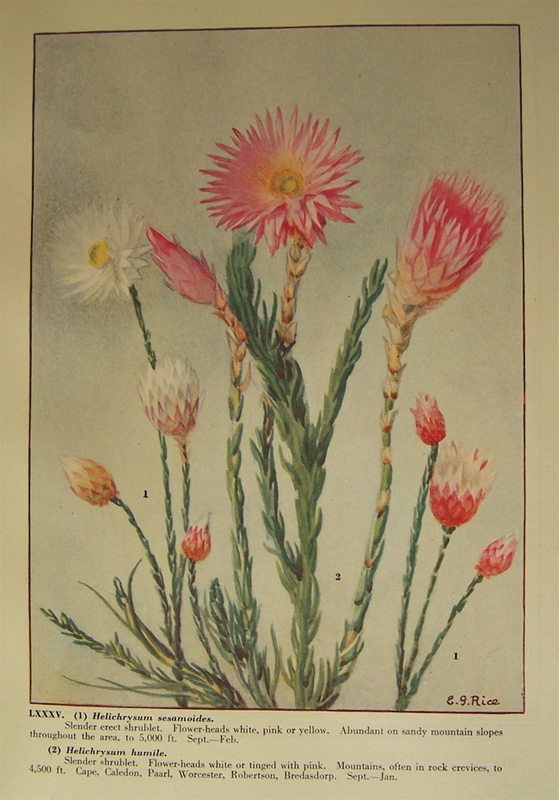 Hortus Camdenensis | Helichrysum sesamoides Willd. Slender erect shrublet with solitary, terminal flower heads and satint white, rose or pale lemon bracts. To 60cm. Grows on sandy mountain slopes. Spring to summer flowering. [RHSD, Rice]. Introduced to Britain in 1739. [PD]. ABR pl.242/1802 and ABR pl.279/1803. Included among desiderata in a letter to John Lindley, 15th February 1848, but not recorded as ‘arrived’ in Macarthur’s copy [MP A2933-1, p.157]. It was also requested of Kew Gardens on 1st Febuary, 1849 [MP A2933-1, p.177]. 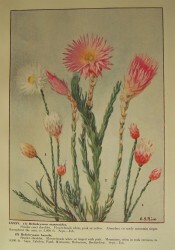 Dietrich gives Xeranthemum sesamoides L. of Curtis’s Botanical Magazine t.425/1797, as a synonym of Helipterum humile DC. [Synopsis Plantarum vol.4, p.1439/1847].